A controller in accounting is the chief accounting officer and plays an important role in heading the entire accounting department. If you are studying for a degree in accounting or you are planning to become a Certified Public Accountant, it is crucial that you learn what types of upper-level and executive-level positions exist so that you can plan for your professional future. While not everyone who works in accounting is equipped to work at such a high level, those who possess the inherent leadership qualities that are needed may aspire to become a controller once they learn about the job. Read on, and find out more about the role of the controller and what you need to do to become one. The controller who heads the accounting department is responsible for supervising all of the accounting activities within the organization, according to Investopedia. 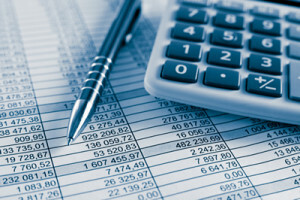 Some of the many things that the controller will oversee is the drafting of financial statements, updating the general ledger, processing cost accounting paperwork, completing payroll, processing accounts payable and receivable, budgeting expenses, stay compliant with tax laws, and analyzing financial data. In addition to supervising all of these activities, the controller will coordinate with management in other departments to interpret management accounting information and to address areas where the company can save. Who Does the Controller Oversee? While the controller is responsible for all of the activities within the accounting department, they are also in charge of employees and will supervise them or assign them to complete special projects. Some of the professionals within the department that will go to the controller for guidance are accounting managers, cost accounting managers, accounts payable managers, credit analysts, payroll managers and accounting clerks. The controller, as the chief accounting officer, answers specifically to the Chief Financial Officer and will perform assigned tasks that are handed down from the CFO. How Does a CFO Differ From a Controller? Many students who are striving to work in an upper-level accounting or finance role are confused by the terms CFO and Controller. While you might assume that both are the same because each title requires an accounting background, the roles are actually extremely different, according to Proformative. As a controller, you are committed to accurate reporting, formatting reports, budgeting, compliance, financials, tactics and what is currently going on in the organization. As a CFO, you are committed to analyzing records, forecasting, spotting key indicators, implementing budgets, strategy, and how financial status affects the big picture. While it is natural to go from an accounting role to a controller role, not everyone will work their way up to becoming a CFO in a larger organization. This is something you will need to decide once you start your professional career. If you believe that you have what it takes to become a controller, the first step is to get educated. You must be analytic, precise and very organized to break out of a staff accountant role and into a controller role. The first step will be pursue a degree in financial or managerial accounting where you will get tools on how to comply with laws and do your financial reporting. After you earn your degree, you will need to then work to gain experience in the industry so that you can get attention to be considered as a controller in accounting.